Learn about how to prepare for a run. Read about the stories of seasoned runners and get tips on how to train properly. More about Mapfre Insular Run for Road Safety 2014 here. Get to know other runners in the community. Hear their stories and get tips to help you in your future runs. Coach Kaye Lopez shares more helpful information with us in this Runner’s Diary video. For more information on Kaye’s training programs and school, visit the Fit+ Academy website. Cited by Swim Bike Run (SBR), as one of the top triathlon coaches in 2012, Kaye Lopez, a former dancer turned national triathlete, shares with us her journey in the famous sport and how her personal experiences led to the birth of Fit+ Academy, her school of over 40 multi-sport athletes to date. Kaye (left) with her students from Fit+Academy during a ride in Nuvali. Dancing was the original background of the petite Katherine Kaye Lopez, before she moved into triathlons. “When it became clear that I had no chance of becoming a prima ballerina someday, thanks to my flat feet and natural turn-in, plus hearing the painful truth from one of my dance instructors, I made the life-changing decision to try sports instead,” she shares. Prior to this decision, she had been doing sports only for fun. 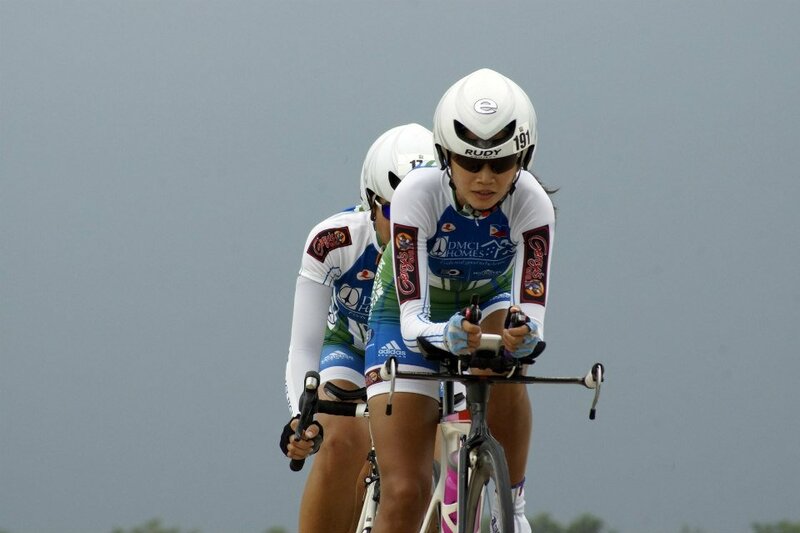 Upon trying triathlons, she found a sport she was truly passionate about. With the support and encouragement of her family, she and her cousins trained for their very first triathlon in 1998 at the Ateneo de Manila University. She then concludes, “The rest, as they say, is history.” From the age of 15, Kaye continued to compete and became a national athlete. Following her competitive career, Kaye moved on to establishing her very on school called Fit+ Academy. She began as a running coach then worked on her Intrnational Triathlon Union (ITU) Level-1 Coaching and American Red Cross Water Safety Instructor certifications. Her first students came from word-of-mouth referrals and inquiries in the triathlon community. It was upon meeting Jennifer Arce, a blogger, that the Fit+ Academy website was formed. Students under her tutelage grew reaching a total of over 40 athletes. 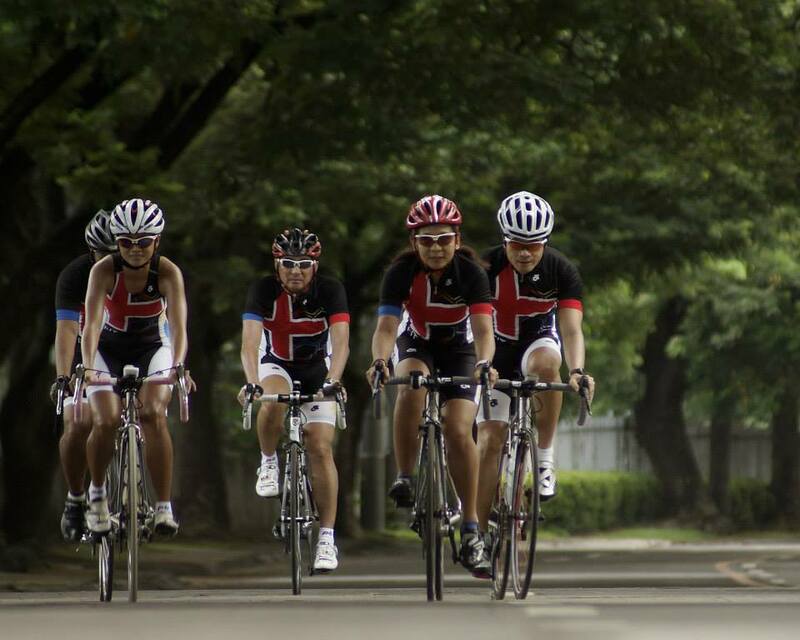 Kaye leading the DMCI Homes Multisport Team , women’s group, during the Clark Cycling Classic TTT in Pampanga. 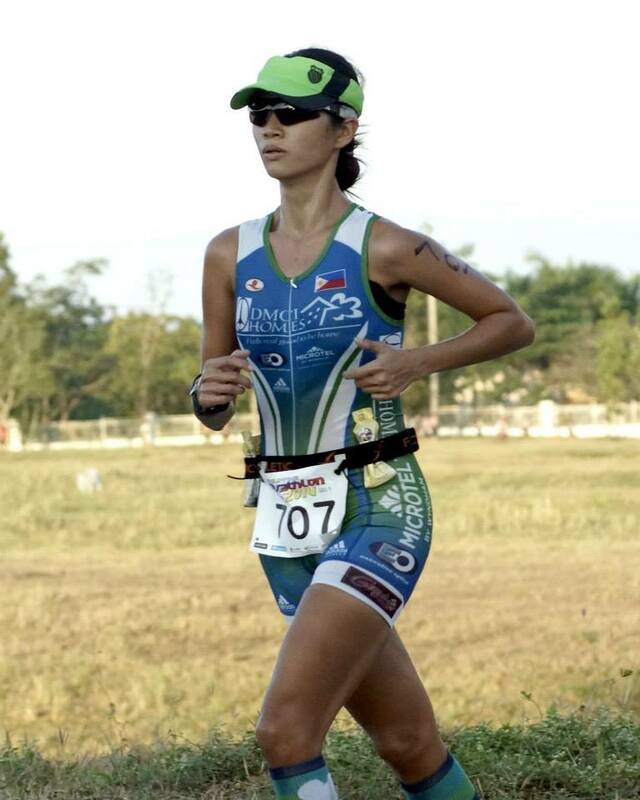 Kaye running during the Philippine Duathlon Series Leg 1 in Cavite. Today, the semi-retired triathlete is less competitive as she prioritizes her time for her students. When her busy schedule permits, she still races occasionally for DMCI Homes Multisport Team or alongside her students in select races they compete in. When the going gets though, remember why you love running. It puts things in perspective and keeps you going. Find out more about the MAPFRE Insular Run for Road Safety 2014 here. For more details on Kaye Lopez and Fit+ Academy, you may visit the Fit + Academy official website. Paavo Johannes Nurmi is a Finnish mid and long distance runner who set a multitude of Olympic records in the 1920s and swept gold and silver medals along the way. He set a total of 22 official world records in distances ranging from 1500 meters to 20 kilometers and he brought home a total of 9 gold medals and 3 silver medals in his 12 events. He was nicknamed “The Flying Finn” and “The Phantom Finn” and even after his retirement from running, he moved on to being a coach and an international influential figure in middle and long distance running. Read more about Paavo Nurmi here. Interested in joining and up and coming run? Learn more about the MAPFRE Insular Run for Road Safety 2014 here. What’s the Difference Between a 5k Finisher and an Ironman Triathlete? According to Jaymie Pizarro, international marathon runner and triathlete, the difference is: everything… and nothing. Read this article and find out why. Only 19 days left for Mapfre Insular Run for Road Safety 2014. Come and Join us!. You can. Register here.